Artwork created by Jen Swearington 2000 through 2004. Shop available pieces online here. "Good Humor." 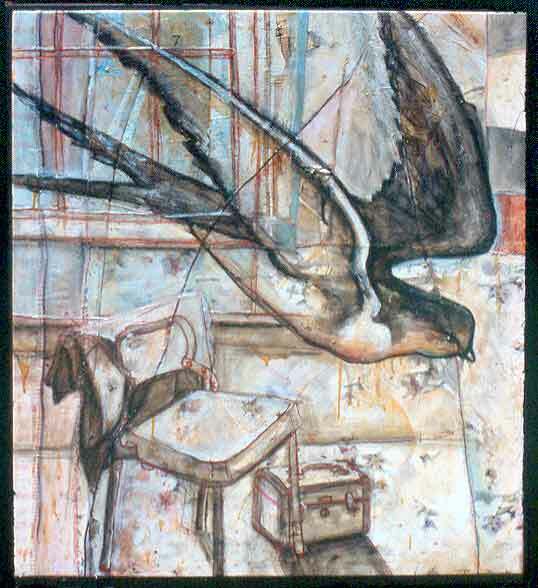 2001, 34"h x 24"w. collection of Savannah College of Art and Design. 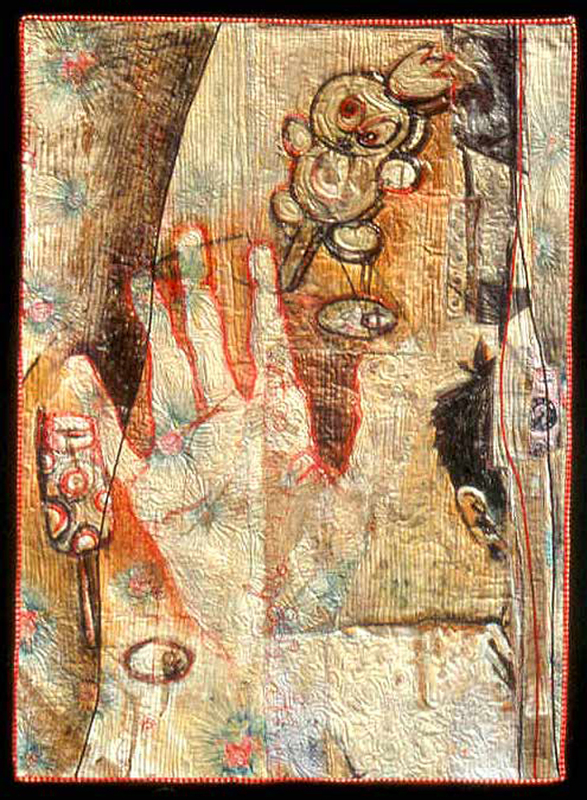 "Upstairs," 2000. 49"h x 46"w, private collection. 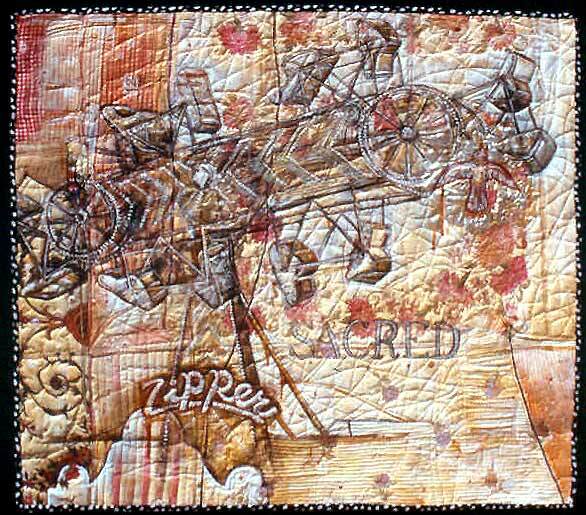 "Kitty Hawk (Season of the Shark," 2004. 41"h x 34"w, available for purchase from the artist. 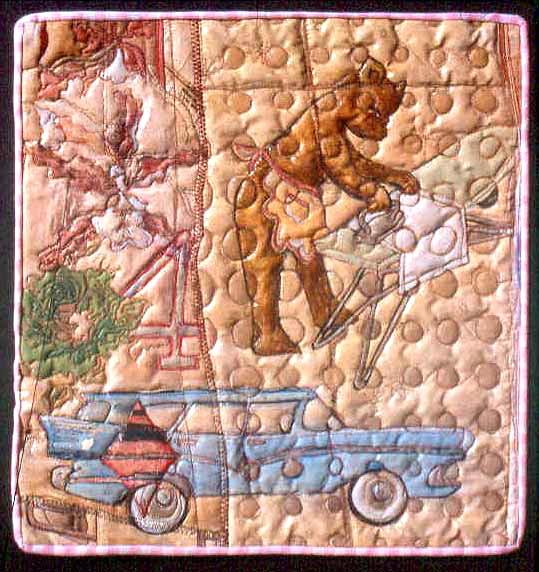 "Bear and For Bear," 2003. 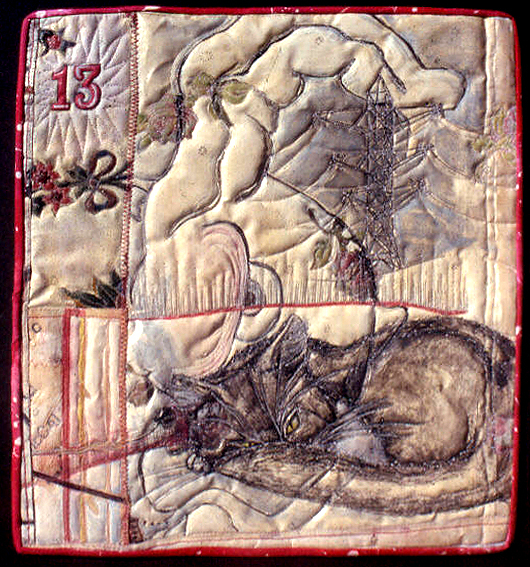 13"h x 12"w, private collection. "Barrel Fever," 22"h x 21"w, private collection. 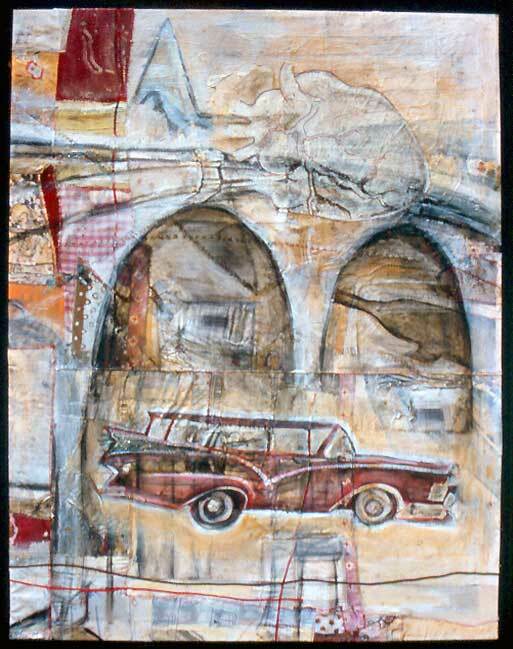 "Car Ride," 2003. 13"h x 12" w, private collection. 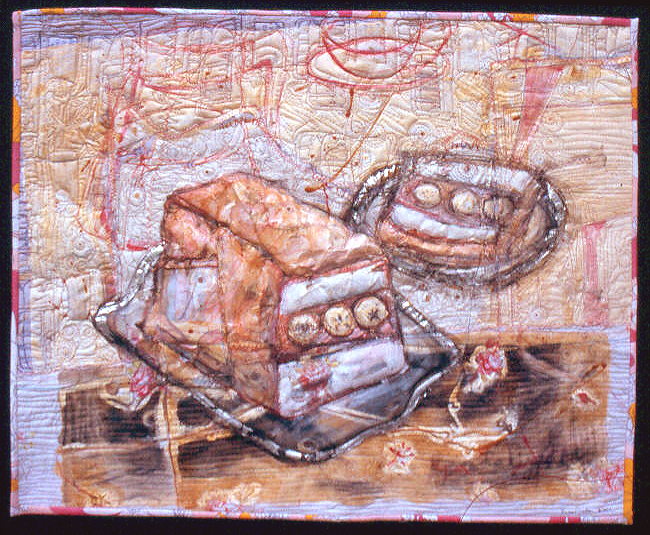 "Banana Cake," 2002. 24"h x 29"w, private collection. 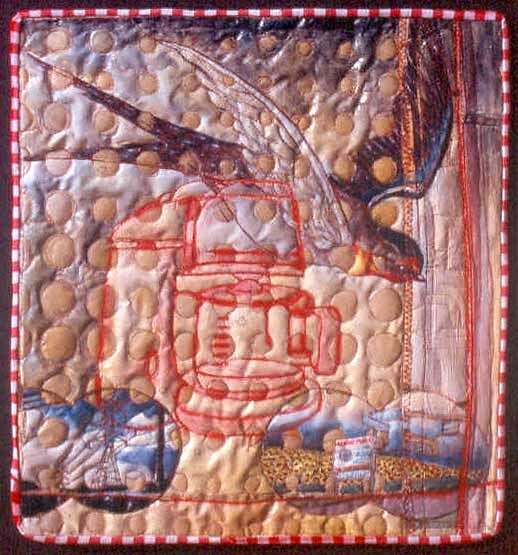 "Self Help," 2002 (quilted 2008). 46"h x 44"w, private collection. "Living in the Carolinas," 2000. 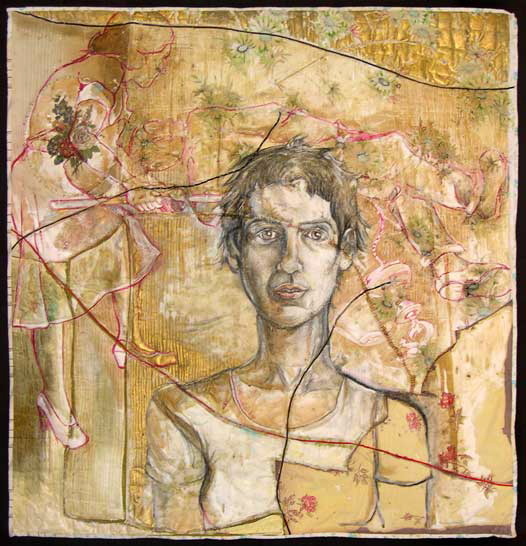 13"h x 12" w, private collection. "Va Vroom." 2000. 48"h x 35" w, private collection. "Bluebell" 2003. 13"h x 12" w, private collection. "The Zipper," 2000. 30"h x 44" w, private collection. "Lake County." 2003. 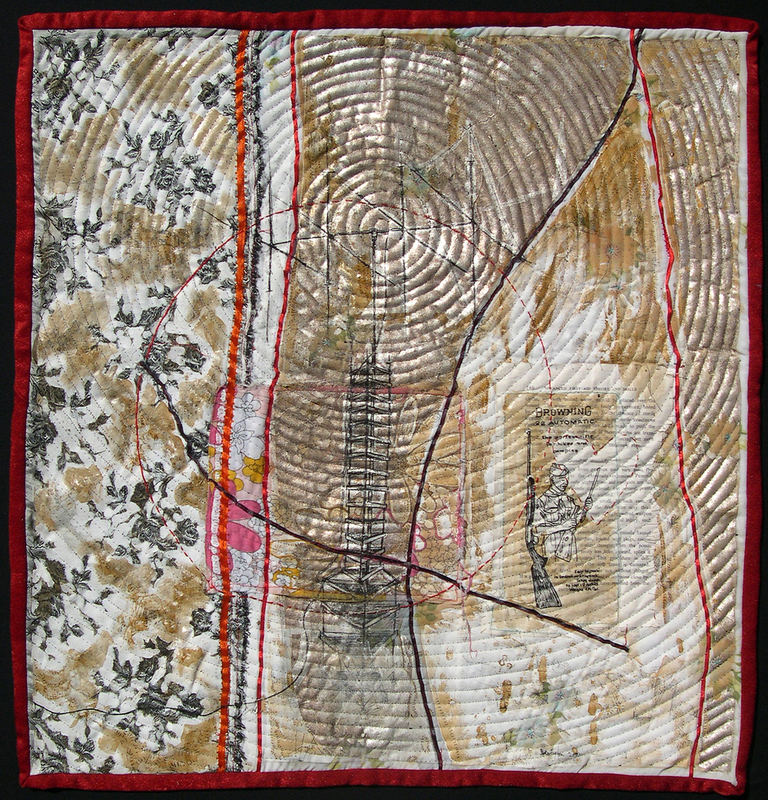 13"h x 12" w, private collection.